SeniTec's innovative cam setting system uses no mechanical devices (springs or screws) for adjustment. 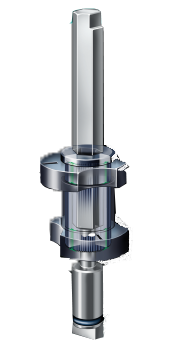 It utilizes a unique internal leaf spring design, which precisely positions and locks on to a splined shaft, preventing calibration and life cycle inaccuracies. When needed, the cam system is easily adjusted using no tools.